We are pleased to inform you of the release, of the recent results of the FREELOTTO INTERNATIONAL PROMOTION PROGRAM held on 27th October, 2006 . You were entered as dependent clients with: Reference SERIAL NUMBER: F2-003-036 and Batch number FR/45-300-06. 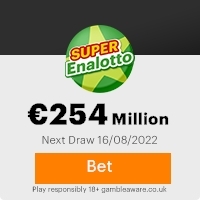 Your email address attached to the ticket number: 54-20-17-52-34-30 that drew the lucky winning number, which consequently won the daily Jackpot in the first category,in four parts. You have been approved for a payment of $1,000,000.00 (One Million United State Dollars) in cash credited to file reference number:TFR/9900034943/JPT. Congratulations!!! He is your agent, and he is responsible for the processing and transfer of your winnings to you. After receiving your check from our office in U.K other relevant documents you may need to claim your winning will be delivered to you by our paying bank as soon as you validate your claims.. The freelotto internet drew is held every six months and is so organized to encourage the use of the internet and computer worldwide. We are proud to say that over 300 millions Euros are won annually in more that 118 countries Worldwide. Get the latest Windows Live Messenger 8.1 Beta version.�Join now. This Email with the Subject "NOTIFICATION OF WINNING" was received in one of Scamdex's honeypot email accounts on Mon, 20 Nov 2006 14:52:37 -0800 and has been classified as a Generic Scam Email. The sender shows as "Freelotto winning" <clark_091@hotmail.com>, although that address was probably spoofed. We recommend that you do not attempt to contact any persons or organizations referenced in this email, as you may expose yourself to scammers and, at the very least, you will be added to their email address lists for spam purposes.